Club Chi Town Limo understand the time value of our precious customers. So it’s very important to be on time to pick our valuable customers from airport to their respected destination. Our dedicated staffs will pick you from airport on time and make your travel stress free. It’s our opportunity to serve with our dedicated best ground transportation service in Chicago. Club Chi Town Limo offers Chicago Airport Limo Service with a wide range of limo and SUV at low rate prices. Just give us a call at (773) 992-0405 and speak to one of our friendly staff members and they will help you make a great decision in booking a Chicago Airport Limo. Our vehicles are clean and well maintained and we guarantee your comfort and safety. Our drivers will always greet you, carry your luggage and take it to your destination safety and comfortably. 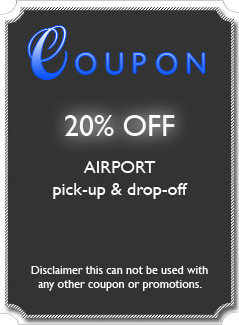 We offers the most economical, convenient and eco-friendly way to get to and from the airport. Also, we offer private car service with VIP pick-ups and transport to any destination. For the business traveler we offer curbside pickup which will alleviate your waiting at the airport. Just contact us when you arrive at the airport and our drivers will indicate a meeting point at the arrival area. Within minutes our chauffeur will be there to transport you to your destination promptly and relaxed. For the leisure traveler start your next vacation with a hassle free, enjoyable ride to the airport. Our staff will assure that you are transported safely and on time to enjoy your vacation. By subscribing to our company newsletter you will always be up-to-date on our latest promotions, news and events. Copyright © 2018. Club Chi Town Limousine All rights reserved.